It has been two decades since Phillip Pullman wrote the first entry in the His Dark Materials trilogy, The Northern Lights (known as The Golden Compass in the US). The novel's standing during this time has risen to the point where it is considered by many to be among the most important pieces of children's/young adult fiction ever written. Now Pullman returns to the series with his new Book of Dust trilogy. Let's mark this occasion by taking a look at why Pullman's work still resonates to such an extent. 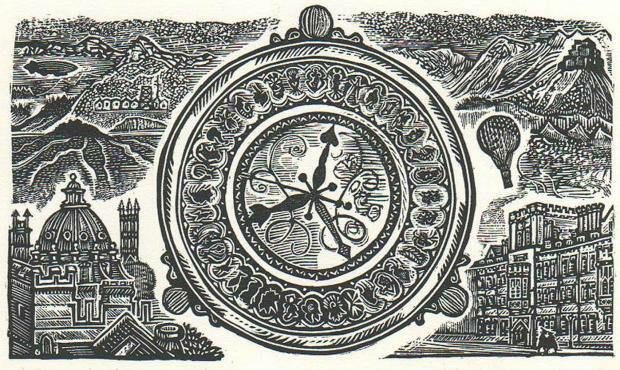 Few artistic works manage to attain high levels of both critical and commercial success, but in the case of His Dark Materials, the praise coming from professional observers has been equally matched by the adulation of its readers. Indeed the series has garnered enduring acclaim, and literary awards including the Carnegie Medal, the Whitbread book of the year (the first time the award has gone to a children's novel), and the Astrid Lindgren award, a prize considered to be second only to the Nobel prize in literature. The series has spawned an award winning National Theatre production, an upcoming BBC adaptation, and a film that we'll just pretend doesn't exist. For many of us who grew up during the 1990s, and especially in the United Kingdom, The Northern Lights represents a dear part of our childhood, and is the essential novel that drew a generation into reading. It's easy to see why the series so successfully engaged its readers, with its imaginative, yet tangible setting and full-bodied characters. This world is imbued with a formidably rich mythology, mesmerising and varied locations, and rewarding story arcs that draw the reader in and make them genuinely care about what happens. From the moment we first join young protagonist Lyra and Pantalaimon sneaking through the halls of Oxford we are hooked through the stories to come, be they delightful or heartbreaking. But the appeal of this work goes beyond its narrative thrill. Plenty of other novels of the genre feature exciting adventures and likeable characters, Harry Potter comes to mind. What makes His Dark Materials stand out is the way its surreal worlds convey a deeper reflection of our own reality. The series' Magisterium offers a clear and scathing critique of the Catholic Church, and its war against the ambiguous property referred to as Dust can be seen as many things; a war on knowledge and enlightenment, a war on decadence and independence, or simply a resistance to change and growth. These novels are not merely some secular smear on religiosity, but a powerful rebuke of any dogma that values power and ignorance over truth. These themes of corruption and authoritarianism are more relevant than ever today. Even beyond the politics and philosophy, there's something altogether more fundamental at the core of the series. These elements provide the intellectual backdrop to what is ultimately the classic coming of age story. Through the pre-adolescent eyes of Lyra the series explores the nature of friendship, the confusion of love, and comes to terms with the inevitability of loss. Unlike, for example, Harry Potter, this is not some fantasy power-trip of a powerful wizard fighting another powerful wizard to defeat evil and then they all live happily ever after. Lyra is a child entering a world dominated by forces far more powerful than her that she can't possibly understand. Just like the rest of us, Lyra cares less for the obscure machinations of the world around her than for the deeper personal drives which motivate us; rescuing a friend, reuniting with a lost parent. So for all its fantastical tropes, His Dark Materials is a series that seeks to awaken its young audience to the real and overwhelming aspects of the world we live in. It's a series that by its premise encourages its developing minds to engage in critical thinking and to place value on knowledge and truth. But for all of its complexity, this is above all a series that helps those at a critical juncture to explore the very personal dilemmas of growing up that they themselves are faced with. Less of a magical diversion, and more a lifting of the veil. At the time, it was radical reading for impressionable young minds, and a revelatory experience. So it remains. As an artistic work, this is still an essential read for the new generation about to enter the wider world, and its status among the most influential literature of our time is well deserved.